A leader in the area of Medical Device Development and Exploratory Research, Dave Knapp has been working to treat unmet needs in coronary, cardiovascular and pulmonary medicine for 20 years. Dave’s current focus as Vice President of Corporate Research at Boston Scientific is on developing new solutions and fostering growth in White Space areas. Coordinating open collaborative efforts has been a key focus area, including developing relationships with external institutions and connecting across disciplines and functions to drive meaningful innovation. 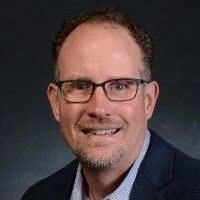 Dave has a Bachelor of Science in Chemical Engineering from the University of Michigan, Ann Arbor and a Ph.D. in Chemical Engineering and Materials Science from the University of Minnesota. His undergraduate research focused in the area of cell separation and biochemical engineering at the University of Michigan and MIT, followed by a focus on Tissue Engineering at the University of Minnesota, contributing to deeper understanding of wound healing and developing bio artificial tissues such as liver, artery and heart valve leaflets. 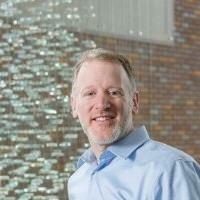 Following his tenure as a research scientist and operations engineer at Amoco Oil Company, Dave joined the Corporate Research team at Boston Scientific to help lead a development effort in Drug Eluting Stents. Since then, Dave has held a number of roles within Boston Scientific, spanning from exploratory to commercialization phases of the development cycle for various medical technologies in the cardiovascular space. His current role in Corporate Research focuses on innovation and driving new growth in white space areas and expansion into new geographies. Dave has presented at several conferences including meetings for the American Institute of Chemical Engineers (AIChE), Institute for Electrical and Electronics Engineers (IEEE), and Society for Biomaterials. 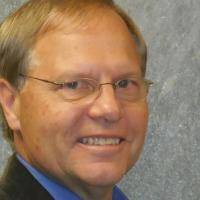 He is an author on a number of publications in the areas of biopolymer rheology, in vitro assays for cell migration and traction, and modeling mechanism of release from controlled release formulations. 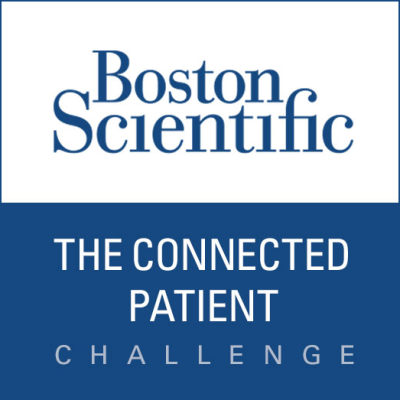 Randall L. Schiestl, PMP, is the Vice President, R&D, Global Technology at Boston Scientific Corporation where he leads a team of talented R&D engineers, scientists and technicians chartered to develop and sustain a broad family of minimally invasive medical devices. Specific responsibilities include: technology management; product design; computational analysis, packaging, labeling and sterilization engineering; university relationships, new product development facilities and labs; knowledge management; and sustaining engineering. He has global responsibility for building technical community, emerging market sourcing and managing R&D information systems across BSC. His engineering teams are located across multiple facilities both US and OUS. Mr. Schiestl (Randy) has a BSME degree from the University of Minnesota, college of Science & Engineering, high distinction He also holds MBA and Executive MBA degrees from the University of Minnesota, Carlson School of Management. Randy has completed the Medical Technology Management mini-MBA at St Thomas University and is certified as a Project Management Professional. Work history includes Honeywell, Alliant Techsystems, and Boston Scientific with functional responsibilities in project and program management, product and process development, strategic planning, mergers and acquisitions, manufacturing management, supply chain, quality, information systems, test facilities, and operations. 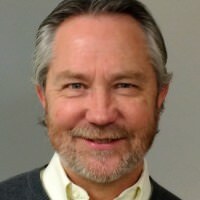 Randy serves on multiple local and national industry advisory boards and consortiums including the Medical Devices Industry Consortium, the Medical Industry Leadership Institute, Heart Advisory Committee Medical Alley, FIRST Robotics and UMN Biomedical, Medical Device Center, Nanotechnology IABs. He received the 2011 UMAA Alumni Service Award from the University of Minnesota, College of Science & Engineering and the Design of Medical Devices Conference Award in 2012. 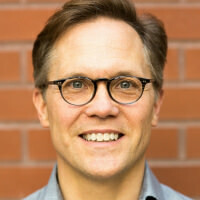 Mark Boden, PhD, is a Senior Research Fellow at Boston Scientific where he is in charge of identifying, creating, and developing medical devices to improve patient care. He has technical expertise in biomaterials, infection control and prevention, device design, university and hospital collaboration, exploratory research, and identification and development of strategic growth areas. Dr. Boden is on the Advisory Boards at the National Academy of Sciences, Biomedical Engineering Materials and Applications; Massachusetts Medical Device and Development Incubator; NHLBI; Syracuse University Biomaterials Institute; UMass Lowell; and the University of Vermont. Valmeek Kudesia is a practicing internist, board certified clinical informatician, and engineer who trained at Boston University and Harvard University. He thrives in the challenging overlap of clinical, administrative, and technical domains in healthcare. He uses his multidisciplinary background to forge effective collaboration between clinical, administrative, and technical stakeholders. Valmeek guides interdisciplinary teams to equip healthcare networks with informatics platforms, clinical analytics tools, and change-processes that support a learning healthcare system. As a physician, he believes healthcare informatics systems should be invisible and bring care-providers and patients closer together instead of wedging them apart. As an engineer and informatician, he knows those systems can be created, and we can learn tremendously by building them. As Program Director for PULSE@MassChallenge, Nick is focused on facilitating active collaboration between high-impact digital health startups and key stakeholders within the healthcare ecosystem, including leading providers, investors, corporates, institutions, and patient advocacy groups. Prior to this, he was at VerbalCare, a 2013 MassChallenge Finalist, where he designed patient-centered communication platforms for providers and both verbal and nonverbal patients to improve shared decision making, healthcare management, and patient engagement. Nick served as Co-Founder and CEO before being named General Manager in 2015 after VerbalCare was acquired by Medical Specialties Distributors. mHealth, patient engagement software, design philosophy, and entrepreneurship. 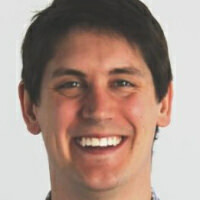 Nick is a graduate of Boston University where he received his Bachelor's Degree in computer systems engineering and is professionally certified in 3D animation and graphic design. 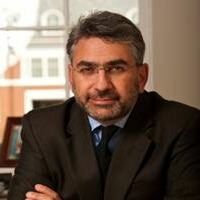 As Executive Director of The Johns Hopkins Center for Bioengineering Innovation and Design (CBID), my responsibility is to provide our students, faculty, staff, and partners the vision, structure and resources we need to succeed in our shared mission. This includes ensuring that we have the right people, that we have strong partnerships within and beyond the University, that our team members and partners see true value in working in and with the Center, that funding and other resources are secure in the short and long term, and that we are building an organization of lasting value to our institution, our students, and the patients we seek to help. and two years at Tuck School of Business at Dartmouth College and graduated from Harvard College. Coridea is a premier Medical Device incubator driven by an innovative translational health care approach. We are developing unexpected device solutions that change the lives of cardiac, pulmonary and renal patients who have failed drug treatment. Barbara Huibregtse has 25 years of experience in translational research in multiple disciplines, translating bench and in vivo data to prepare for First in Man and pivotal trials in cardiac, vascular, neurovascular, neuromodulation, orthopedics, urology and endoscopy disciplines. She is Vice-President of Pre-clinical Sciences, which includes supervision of two laboratories, the Research and Training Center and a Tissue and Cell Engineering Laboratory at Boston Scientific Corporation. Prior to Boston Scientific, she was a Senior Scientist at Genzyme Corporation, working on Autologous Chondrocyte Transplantation, as well as small molecules, alternate cell therapies and other treatments for orthopedic and dermatologic disease. Barb received her B.S. in Animal Science from Pennsylvania State University, and DVM from University of Minnesota College of Veterinary Medicine, followed by an internship at the University of Illinois and a post-doctoral fellowship at Case Western Reserve University in mesenchymal stem cell biology with applications in orthopedic disease. Barb has presented at several international and national conferences on translational and device research, and cell therapy topics, and has several publications in different fields. 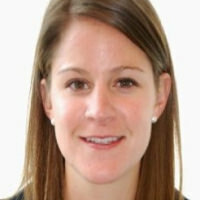 Erin Nagle is an Integrated Marketing Senior Manager at Boston Scientific where she is focused on uncovering economic customer insights to drive value proposition creation and partnering strategies. 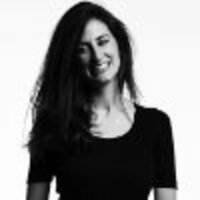 Prior to her current role she was on the Corporate Marketing Strategy team leading strategic opportunity assessments, analyzing competitive intelligence, and driving cross-divisional collaboration in the area of digital health among others. Erin spent time in marketing at Medtronic and worked at UK Trade & Investment advising medical device companies on international expansion strategy. Erin received her MBA from the Tuck School of Business at Dartmouth College and graduated from Tufts University. Sandra is a passionate technical expert and innovator specialized in early stage assessment and development of transformational medical therapies. Sandra has led multiple projects and assessments with high business and strategic impact in multiple technology and therapy areas including digital health, imaging, diagnostics, cardiovascular, gastroenterology, urology, and women's health. Prior to joining Boston Scientific Sandra obtained her PhD in Chemistry from Tufts University where she developed an adaptive multisensor platform for vapor diagnostics. Sandra is the Winner of Boston Scientific Innovation Challenge (2015 and 2016), Winning Spirit Award (2015), and John Abele Science & Technology Award (2013). 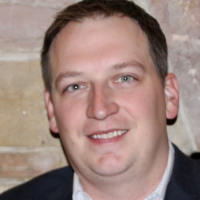 Eric Murray is an information technology leader at Boston Scientific that is focused on driving technology innovation at Boston Scientific to improve healthcare delivery and patient access. 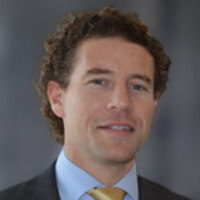 He manages Boston Scientific’s data and analytics, mobile, IoT, and information management initiatives that are determined to bring value to Boston Scientific, their customers, and their patients through information technology. John S. Rumsfeld, MD, PhD, FACC is the Chief Innovation Officer for the American College of Cardiology (ACC), the 52,000 member non-profit professional association for cardiovascular clinicians in the U.S. and abroad. In this role, Dr. Rumsfeld is responsible for developing a long-term innovation agenda to help the ACC maintain its competitive advantage in the global marketplace, investigating global and domestic market trends in the delivery of cardiovascular care and health information technology, and exploring new technologies and team-based approaches to health care. 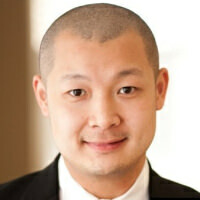 Ivan K. Ip, MD, MS, MPH serves as the Chief Medical Information Officer at CMC, working to improve care delivery for our patients through technology. He is a graduate of Cornell University Medical College (MD) and the University of California at Berkeley (MPH). With training in system redesign and process improvement, Dr. Ip’s interests lie in big data, population health, clinical decision support, and precision medicine. Dr. Ip is boarded in Clinical Informatics (American Board of Preventive Medicine) and Internal Medicine (American Board of Internal Medicine). He completed his medical informatics at Brigham and Women’s Hospital and Stanford University Medical School. Justin is an Assistant Professor of Neurology and Population Health at Dell Medical School at the University of Texas at Austin. He is pursuing an interdisciplinary career integrating applied clinical informatics research and development and clinical neurology. 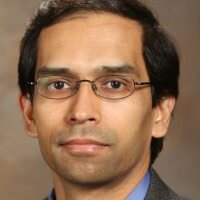 Having grown from a foundation in Systems Engineering, his interests in the development and implementation of new technologies and how they affect diagnosis, treatment, delivery of care, and outcomes are what inspired him to enter into medicine. His father, a psychiatrist, fostered his interest in the power and mystery of the brain and mind and Justin went into neurology to study the functions of the nervous system and to accompany people as they cope with malfunction or loss of a part of their nervous system. He seeks to transition health and disease states from intermittent discrete encounters to continuous scales and to develop tools to improve and integrate clinical decision support, healthcare delivery, and the monitoring of effects of therapeutic interventions, enhancing the experience of patients, physicians, researchers and the healthcare team. Getting her start at VA as a Presidential Innovation Fellow, Ms. Andrea Ippolito now leads the VA Innovators Network within the VA Center for Innovation. In this capacity, she designed and oversaw the creation of a program that provides the tools and resources to VA employees to develop innovations that improve the experience of our Veterans. The Innovators Network currently includes Innovation Specialists at twenty-two VA Medical Centers across VA. Through the Innovators Network, front line VA employees have designed, tested or launched more than 35 Veteran-centric innovations. She recently completed her role as a Presidential Innovation Fellow working with VA. Ms. Ippolito has pursued doctoral studies in the Engineering Systems Division at MIT and is the Co-Founder of an innovative application that improves access to care called Smart Scheduling (acquired by athenahealth in 2016). She also previously served as the Co-Director of MIT’s “Hacking Medicine” program, as an Innovation Specialist at the Brigham Innovation Hub and Product Innovation Manager at athenahealth. Ms. Ippolito completed her MS in Engineering & Management at MIT. Prior to MIT, Ms. Ippolito worked as a Research Scientist within the Corporate Technology Development group at Boston Scientific. She obtained both her BS in Biological Engineering in 2006 and Masters of Engineering in Biomedical Engineering in 2007 from Cornell University. 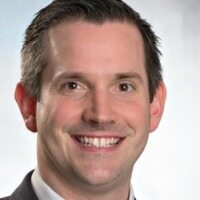 Bradley Crotty MD MPH is the Medical Director for Digital Engagement at Inception Health, the innovation lab of Froedtert & The Medical College of Wisconsin. Dr. Crotty graduated from Tufts University and Harvard Medical School before completing his residency training in Internal Medicine at BIDMC where he also served as chief medical resident. He completed the Harvard Medical School Research Fellowship in General Medicine and Primary Care in 2013, when he also received his Masters degree in Public Health from the Harvard School of Public Health. 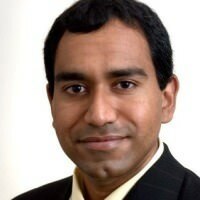 He is a member of the American Medical Informatics Association and the Society of General Internal Medicine. Jodi has been with Boston Scientific for 3 years and currently leads an IT organization of over 1,000 employees and contractors worldwide. Her organization’s goal is provide internal business partners with exceptional support that will enable them to attain a competitive advantage through powerful analytics and evolving digital health technology. 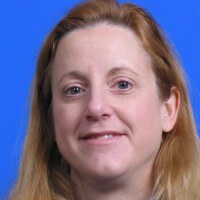 Jodi has gained extensive experience across most IT disciplines. Prior to joining Boston Scientific in 2013, she held the position of Commercial CIO for a $20 Billion division of General Electric, where she spent 18 years of her career. Jodi and her husband currently reside in rural New Hampshire. 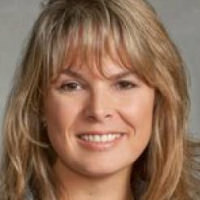 Alexandra Pelletier expertise is aligning business strategy to develop digital products and services that deliver value and impact to organizations and people. She is currently serving as a Presidential Innovation Fellow, a program established by the White House in 2012. Her focus is leading an initiative with the National Cancer Institute for the Vice President's Cancer Moonshot. Previously, she served the Harvard affiliated academic medical centers in Boston. She was the first Director of Digital Innovation at Boston Children’s Hospital, building a strong team, with diverse skills, to rapidly develop products to improve care delivery and clinical efficiency. She successfully expanded the program to create industry partnerships and opportunities to commercialize these solutions. 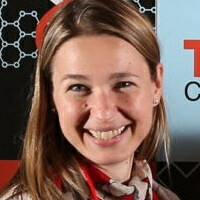 She was also co-founder for Hacking Pediatrics in partnership with MIT Hacking Medicine. 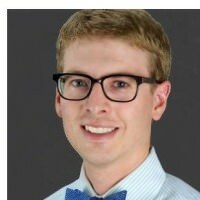 At Partners' Center for Connected Health, Alex led the program team and played a critical role in developing and launching the connected health program suite. Based on this platform, a company was successfully launched and acquired by a leading insurance company, Humana. During her eight years within the Harvard community, Alex created a portfolio of digital health solutions across the care continuum to improve clinical outcomes at a lower cost to improve the patient experience. 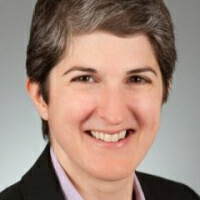 Prior to her career in healthcare, she was a consultant at IBM Global Services and Deloitte working across industries. 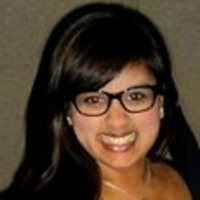 She mentored at 1776 and HealthBox, accelerators for start ups in healthcare. She is also dedicated to mentoring students interested in STEM and enjoys volunteering as a math tutor for high school students. She has presented internationally and across the US on digital health innovation and technology. She is passionate about leading talented teams to develop technologies that deliver a positive impact for people. David Binder is a physician at Spaulding Rehabilitation Hospital and Massachusetts General Hospital Orthopedic Spine Center in Boston, Massachusetts. Dr. Binder serves as the Director of Innovation for Spaulding Rehabilitation Hospital, Medical Director at Spaulding Cambridge Outpatient Center, and the Director of Spine Training for the Spaulding/Harvard sports medicine fellowship program. He is also the Vice-President of the medical staff at Spaulding. As the Director of Innovation at Spaulding Rehabilitation Hospital, Dr. Binder focuses on promoting and developing internal innovation initiatives as well as forging external collaborations with partnering hospitals, universities, and innovators focused on advancing medicine and healthcare.